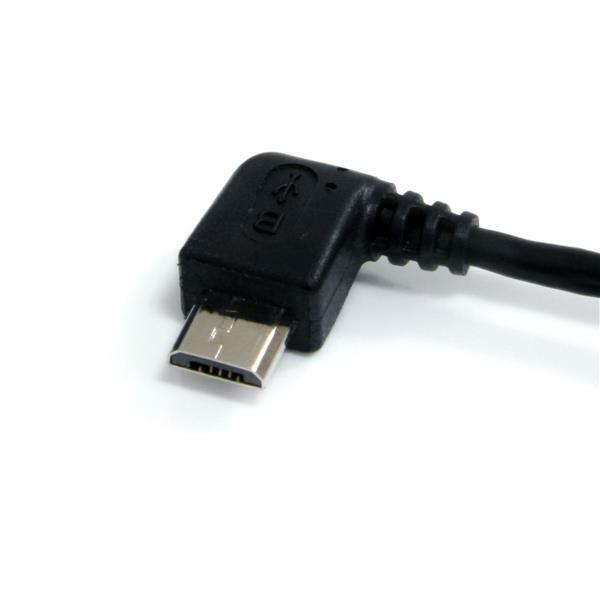 The UUSBHAUB1LA 1-foot USB-A to Micro-B Cable provides a high quality connection between Micro USB-equipped USB 2.0 mobile devices (such as BlackBerry® or Android-based smart phones, digital cameras, PDAs, Tablet PC devices and GPS systems, etc.) and a USB-capable computer, for everyday tasks such as data synchronization, file transfers and charging. The left-angled Micro USB connector positions the cable in such a way that it allows you to easily access your mobile digital device in both portrait and landscape mode, even while charging. 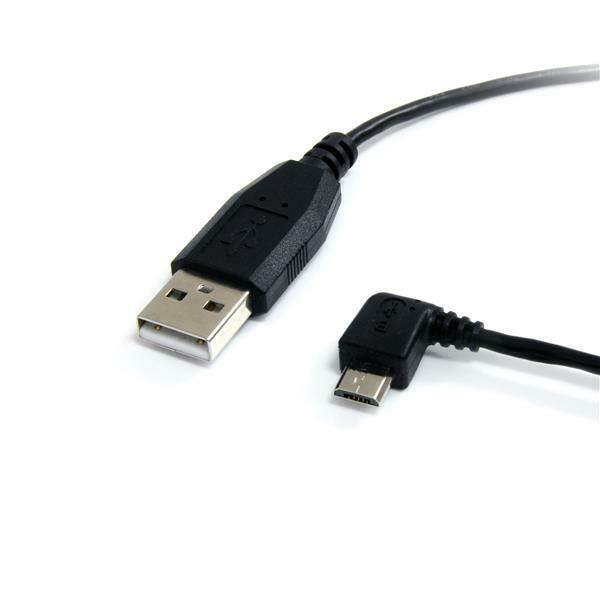 Designed and constructed for maximum durability, this high quality USB-A to Left Angle Micro-B cable is backed by StarTech.com's Lifetime Warranty. 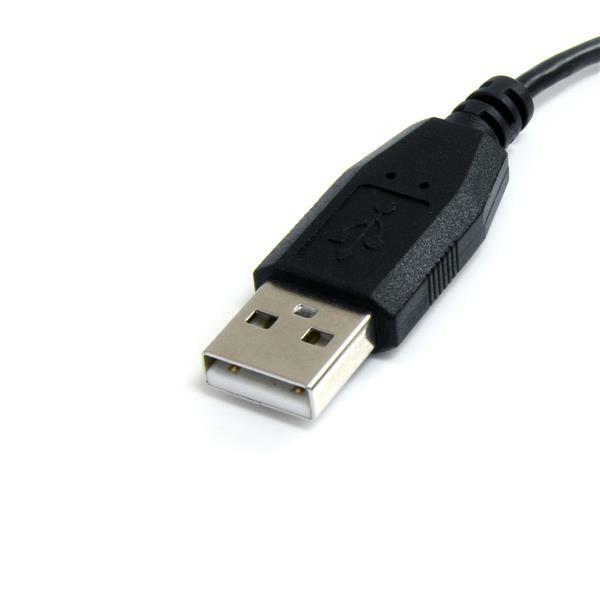 As an alternative, StarTech.com also offers a 1ft USB A to Right Angle Micro B Cable (UUSBHAUB1RA), which provides the same convenience as this left-angled cable but allows you to connect to your USB Micro-B devices from the opposite direction. Use a Micro USB cable or power charger with older Mini USB devices.